Parabens and Sulfates are two of the chemicals that have been most widely used in baby products, and yet their safety is very much in question. Here are some things you need to know about these chemicals and their possible risks to your child (or even yourself). 1. Parabens are a class of preservatives used in lotions, creams and baby bath soaps and shampoos as well as many women's cosmetic products. These products need a preservative to prevent bacteria, fungus and other microbes from growing in them, particularly in warm weather or the humid bathroom environment. 2. Studies have shown that parabens are present in human tissue and urine. This suggests that parabens are absorbed through the skin, since parabens were intact and had not been broken down by the liver like they would be if they had come from food. Parabens have been found in breast tumors, sparking concerns that they are a cancer risk (though so far, this has not been definitively proven). 3. Parabens can appear in product ingredients under several names, mostly ending in paraben: methylparaben, ethylparaben, propylparaben, butylparaben and isobutylparaben. They are commonly known to affect the body like estrogen, and too much estrogen is thought to be a factor in breast and other cancers. 4. Be careful of paraben-free products. Many of them contain phenoxyethanol, which is a known DNA adduct (can attach to and modify the DNA of those who use it). There are few other effective substitutes for parabens, so it may be best to use pure oils instead of creams, since oils don't grow molds and bacteria like creams do. If you find a product that is free of both parabens and phenoxyethanol, it should be safe to use. 5. You can avoid parabens in body wash or baby soap by making your own with castile soap and other natural ingredients. Check out this recipe. Just be aware that the lack of preservatives means you should store it in the refrigerator (clearly labeled) and should not expect it to last as long as soaps containing parabens. Another option is to choose Biconi Baby Soap. In addition to being free from parabens, this gentle soap is also free of SLS, sulphates, phthalate, mineral oil, animal products, and alcohol. 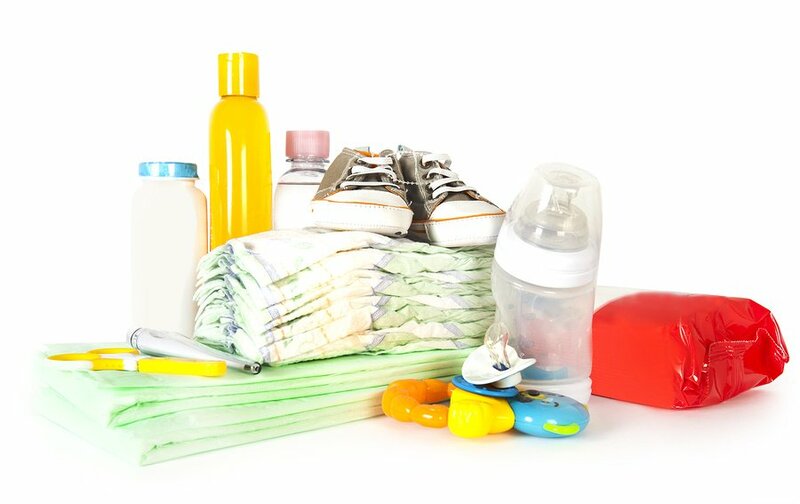 Finding baby products without harmful chemicals is not an easy task. 1. Sulfates are the salt forms of sulfur. They are surfactants, which attach to oil and grease to remove them. This action lowers the surface tension of the water, allowing bubbles to form. Sulfates, known as SLS, are present in nearly all shampoos and body washes, even some of the newer ones that claim to be "natural." Sodium Lauryl Sulfate (SLS) is present in most commercial baby shampoos and baby bath soaps. 2. SLS and its companion Sodium Laureth Sulfate are classified as skin irritants and can cause rashes with extended use. They dry out the skin by stripping away its natural oils and can even contribute to hair loss by attacking the follicle. SLS can also react with other common skin care products to form nitrates, which are potential carcinogens. 3. SLS is retained long-term in body tissues as well as being absorbed into the eyes, brain, heart and liver. A good substitute for SLS is vegetable glycerin, which provides suds but doesn't strip oils from the skin. Avoiding sulfates and parabens can be an important step to keeping your child healthy and reducing chemical exposure. Biconi offers natural beauty products, made from the best and most effective natural ingredients, including noni enzyme and virgin coconut oil. Biconi is a trusted partner of Healthy Child - Powered by EWG.